Owerri, a champion among the superb urban zones we have in the eastern partof Nigeria. It is the capital of Imo State and besides the largest city in the state. Owerri Municipal, Owerri North and Owerri West are the three imperative Local Government areas that make up Owerri. The beautiful city of Owerri grants edge to Nworie River toward the South and Otamiri River toward the east. Given the trademark Heartland, the city of Owerri has genuinely shown its title being the capital of incitement in Nigeria owing to the crossroads of significant worth loosening up centers we have in Owerri. According to the 2006 Population, Owerri is encouraging more than 400,000 of the Nigerian masses. As the city of Owerri is ceaselessly taking structure have a megacity look, different delightful looking houses have furthermore being fabricated having a substance of class. Houses for rent in Owerri are in different structures showing style which has exhibited affirmation that the city of Owerri as an emerging megacity. 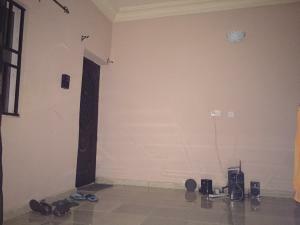 The flats for rent in Owerri are all aroundquiet neighbourhgoods that brag of a good road network. Apartments for rent in Owerri West comes in various concerning the number of rooms they have as there are two(2) rooms, three(3) rooms and four(4) rooms. With N200,000 you can get a two(2) bedroom flat for rent in Owerri and about N350,000 to get a three(3) bedroom flat for rent in Owerri.